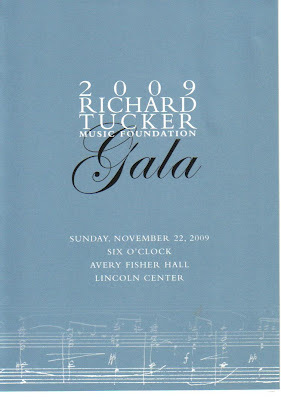 Adventures in the Endless Pursuit of Entertainment: Tonight: 2009 Tucker Gala Concert! 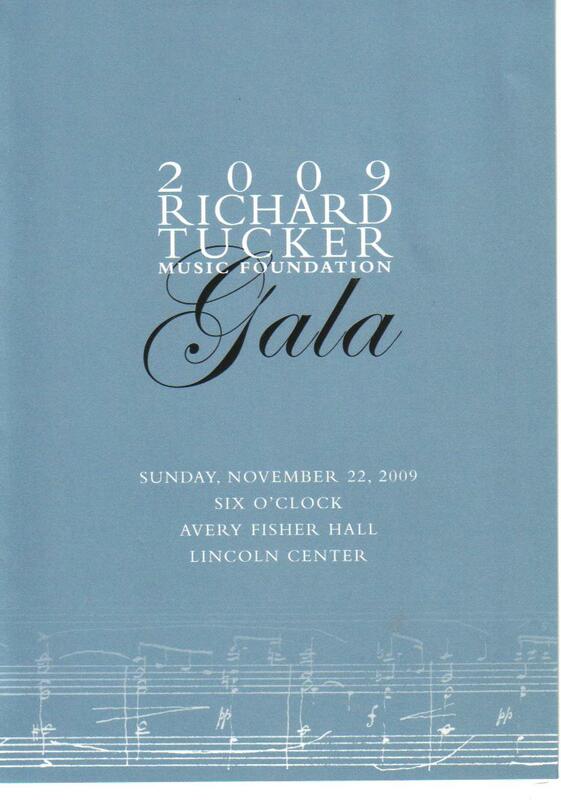 Tonight: 2009 Tucker Gala Concert! Richard Tucker (1913-1975) is considered one of America's greatest tenors. 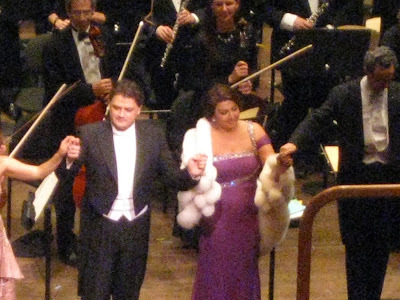 He sang 724 performances with the Metropolitan Opera plus was broadly recorded. He was profoundly civic and religious minded and devoted himself to helping others both in the music world and general community assistance. 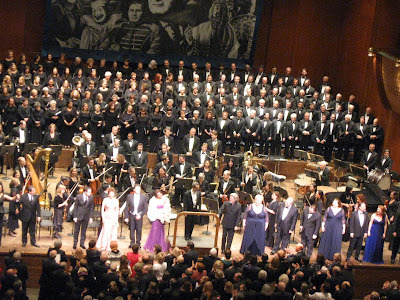 After his death in 1975, The Richard Tucker Music Foundation was founded as a "non-profit cultural organization dedicated to perpetuating the artistic legacy of the great American tenor through the support and advancement of the careers of talented American opera singers by bringing opera into the community." The Foundation offers free performances in New York Metropolitan area and supports music education programs. Each year the Richard Tucker Music Foundation annually awards cash prizes to individual U.S. born singers. There is no application process, only nomination. Prestigous in name and in association to previous winner, it is monetarily generous and acts to further highten the winning artist's career, usually one who is already on the brink of success. The first winner, in 1978, was Rockwell Blake. 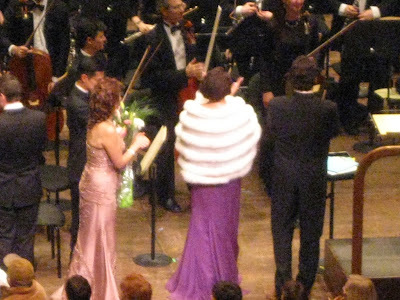 Other winners were Brandon Jovanovich, Lawrence Brownlee, Eric Cutler, Matthew Polenzani, John Relyea, Joyce DiDonato, Christine Goerke, Gregory Turay, Stephanie Blythe, Patricia Racette, David Daniels, Dwayne Croft, Paul Groves, Jennifer Larmore, Ruth Ann Swenson, Deborah Voigt, Renée Fleming, Margaret Jane Wray, Richard Leech, Harry Dworchak, Dolora Zajick, Aprile Millo, Roger Roloff, Susan Dunn, J. Patrick Raftery, Barry McCauley and Diana Soviero. The foundation also awards the Richard Tucker Career Grant (notably Susan Graham) and the Sara Tucker Study Grant. I have been fortunate to have seen many of recipients of each of these awards perform in recital or concerts in and around New York and in operas at the Met, the Chicago Lyric and the WNO. Each year the Foundation presents a concert of past winners and current winners. This year's winner is Stephen Costello, tenor. The program was excellent. 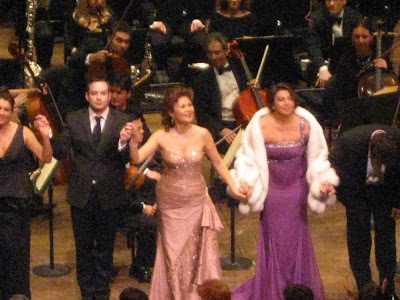 The singers seemed to enjoy the event as much as the audience. It was sheer fun. This year's Fashion Award went to Maria Guleghina, who rocked it in a purple gown, adorned with sparkles. Over this, she wore a white fur stole/jacket! *** The audience ooooohed when she took the stage as Lady Macbeth. She's such a rock star! Stephen Costello was fantastic - a young, high tenor with much passion in his voice. Susan Graham had some fun with her Vilja, conducting the audience in a bit of an encore and then cutting us off so she could have the final notes. She wore an elegant green gown. 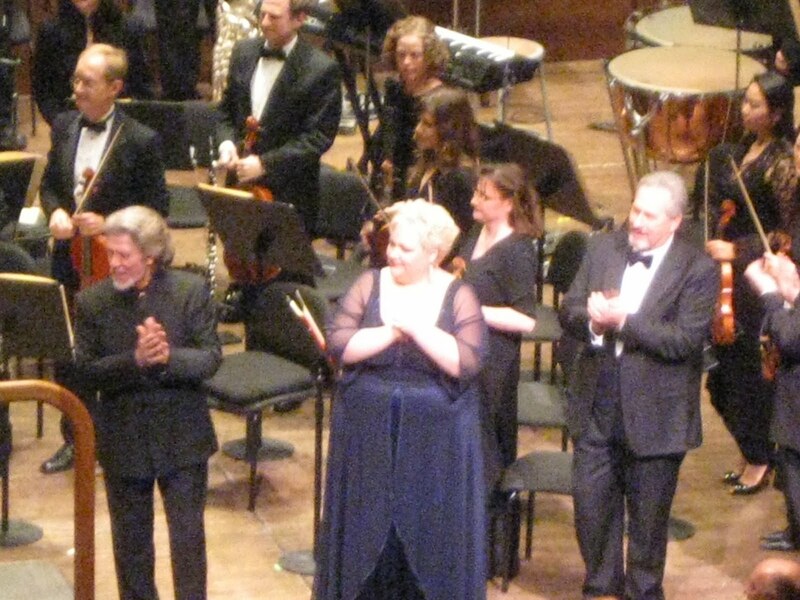 Stephanie Blythe blew the roof off with her Condotta ell'era in ceppi from Il Trovatore. Oh my God, she is so fabulous. I thought this is the most beautiful screaming in the world. Zeljko Lucic growls and leers with intensity and just knocks me dead. I just love him! It was a treat to hear the sweet, clear voice of Hei-kyng Hong. It's clear that she's an audience favorite and looked lovely in a strapless, bedazzled light pink gown. Anna Netrebko was fabulous - her high notes were clear and gorgeous. She wore a strangely cut gown, but wore gorgeous sparkly shoes (that's an A+). The rest of the guys were fantastic - Aleksandrs Antonenko was a big hit, James Morris was solid as always and it's hard not to like Sam Ramey's Te Deum. Matthew Polenzani stepped in for ailing Joseph Colleja plus sang his own planned songs - he is just so enjoyable to watch and hear. Barry Tucker opened the show as usual, noting that once again flower bouquets adorning the stage were foregone in deference to the economy. He also got a chuckle out of me when he announced that honored guest Peter Gelb could attend due to a tennis accident. Tennis elbow, do you think? There was no announcement that tonight's performance was taped for future radio broacast and there were no visible cameras either. As tradition, the entire company returned to the stage for the encore of The Brindisi, from La Traviata (The Drinking Song!). This group of sopranos couldn't have had more fun. Now, only 12 more months until the next Tucker Gala! Thanks for your review, photos & listing the program. I attended the Gala and forwarded your blog to friends who wanted the scoop.